His work is described as “paying tribute to the eloquence of the human form”. He draws and sculpts his subjects over and over, often requiring his models to repeat the specific move or gesture that he’s aiming for. 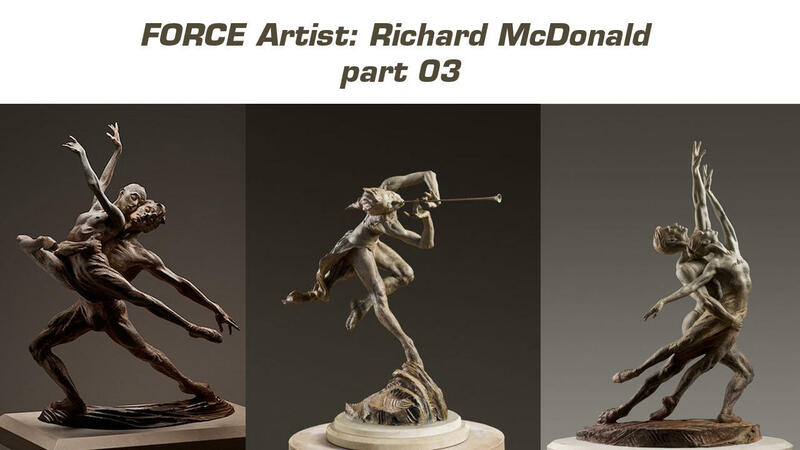 Let’s look at another example of how this master artist uses FORCE in his work. 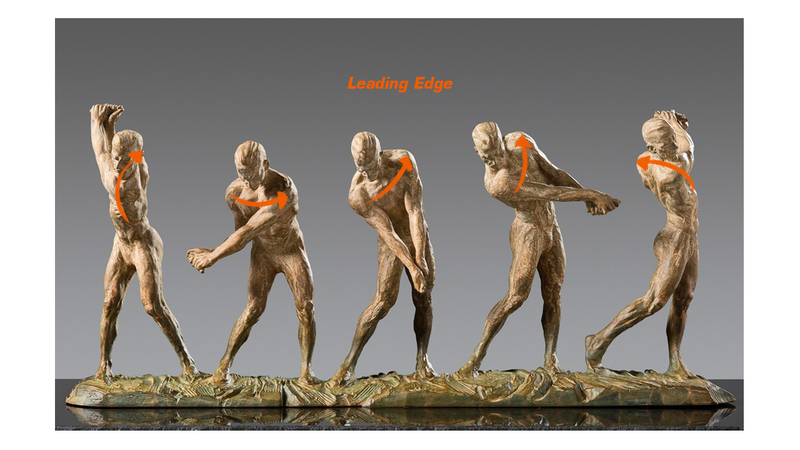 The sculpture below is called “Anatomy of golf”. Observe the clear Leading Edge in each frame of the action. This gives each frame a clear direction of movement.